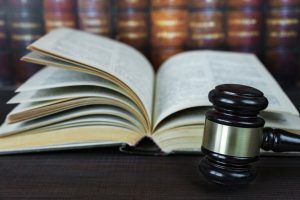 Florida law forbids ordinances, deed restrictions, covenants, or similar binding agreements from prohibiting solar equipment use. 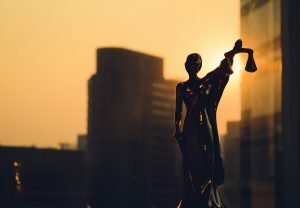 Under this law, a homeowner may not be denied by “any entity granted the power or right in any deed restriction, covenant or similar binding agreement to approve, forbid, control, or direct alteration of property…” permission to install a solar collector, clothesline, or other energy device using renewable resources. Learn More. 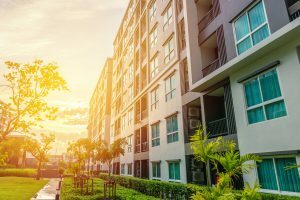 This law establishes conditions for use of solar and energy efficient systems on common elements within association property. (7) Notwithstanding the provisions of this section or the governing documents of a condominium or a multicondominium association, the board of administration may, without any requirement for approval of the unit owners, install upon or within the common elements or association property solar collectors, clotheslines, or other energy-efficient devices based on renewable resources for the benefit of the unit owners. Solar easements are the prevalent method of assuring solar access. Since there is no implied right to light and air, there must be statutory authority to create a solar easement. Solar easements are strictly voluntary, meaning you cannot force a property owner to grant one. Florida law enables the creation of a solar easement. Learn More. 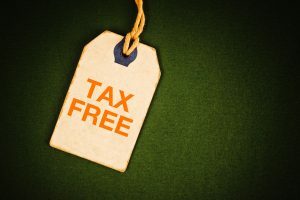 Florida law exempts solar systems and components from sales tax. This law doesn’t have an expiration date. Sales, rental, use, consumption, distribution, and storage tax; specified exemptions.–The sale at retail, the rental, the use, the consumption, the distribution, and the storage to be used or consumed in this state of the following are hereby specifically exempt from the tax imposed by this chapter. (hh) Solar energy systems.–Also exempt are solar energy systems or any component thereof. 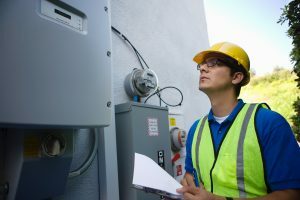 The Florida Solar Energy Center shall from time to time certify to the department a list of equipment and requisite hardware considered to be a solar energy system or a component thereof. Florida law provides a tax exemption for real and tangible personal property. Enables local governments to establish financing programs for energy efficiency and hurricane hardening improvements. Learn More. Net metering is a billing mechanism that allows electric utility customers who generate some of their own power using renewable energy systems, such as solar panels, to be credited with any excess electricity it provides back to the grid. Excess energy is deducted from the customer’s monthly bill or credited to a future bill within the same calendar year. Learn More. The purpose of this rule is to promote the development of small customer-owned renewable generation, particularly solar and wind energy systems; diversify the types of fuel used to generate electricity in Florida; lessen Florida’s dependence on fossil fuels for the production of electricity; minimize the volatility of fuel costs; encourage investment in the state; improve environmental conditions; and, at the same time, minimize costs of power supply to investor-owned utilities and their customers. Learn More. Local governments are enabled to establish financing programs for energy efficiency and hurricane hardening improvements. Learn More. Establishes goals for electric utility energy conservation and demand side management. Learn More. 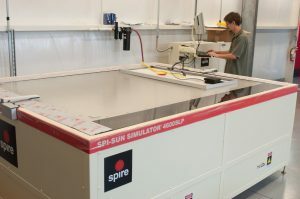 Florida statue directs the Florida Solar Energy Center® to establish standards and system certification of solar energy systems manufactured or solar in Florida; allows licensed professional engineer to certify systems. Learn More. 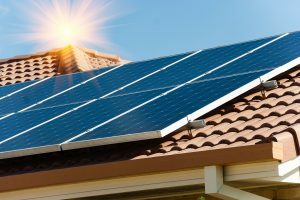 Establishes contractor licensing category for solar energy systems, including solar thermal and photovoltaic; exempts solar contractors from specific subcontracting requirements. 489.113(f) (f) A solar contractor shall not be required to subcontract minor, as defined by board rule, electrical, mechanical, plumbing, or roofing work so long as that work is within the scope of the license held by the solar contractor and where such work exclusively pertains to the installation of residential solar energy equipment as defined by rules of the board adopted in conjunction with the Electrical Contracting Licensing Board. 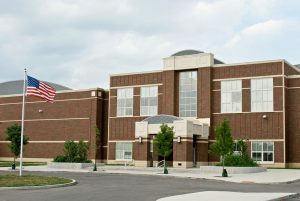 New educational facilities should incorporate low-energy use features and solar hot water, renovations should retain some natural ventilation, and if a swimming pool needs to be heated, it should be done so by a waste heat recovery system or a solar energy system. Learn More. 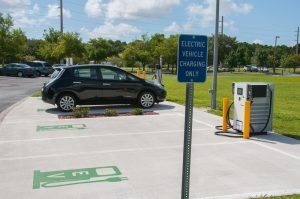 Providers of electric vehicle charging to the public are exempt from the definition of retail sale of electricity, and non-Plug-in Electric Vehicles (PEV) are prohibited from using a designated EV charging parking space. For more information about Energy Policy in Florida, contact: Colleen Kettles, 321-638-1004, ckettles@fsec.ucf.edu.